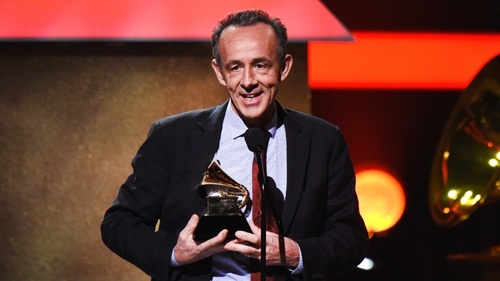 Dublin-born producer Kevin Killen has hailed David Bowie's victory at the Grammys, where the late star was honoured with five posthumous awards - his first ever Grammys for his music. Bowie, who died in January 2016 aged 69, won Best Rock Song for his single Blackstar at the star-studded music awards show in Los Angeles on Sunday. The Press Association reports that Bowie was also posthumously honoured for Best Alternative Music Album, Best Rock Performance and Best Engineered Non-Classical Album for Blackstar, his last release. Blackstar won another Grammy as Jonathan Barnbrook received the award for Best Recording Package for his innovative artwork on the album. Backstage at the Grammys, Blackstar engineer and five-time Grammy winner Kevin Killen said: "It's kind of startling it's taken that long for an artist who's been so magnificent throughout his whole career." Bowie's awards were his first music Grammys after previously winning Best Music Video in 1985 for Jazzin' For Blue Jean and a Lifetime Achievement award in 2006. Killen, who has also worked with U2, Peter Gabriel and Elvis Costello and produced the soundtrack to The Commitments, said Bowie's ill health during the making of Blackstar "did not impede (him), if anything it spurred him on". "He was incredibly enthusiastic every day he came in and was really determined to make this record on his own terms," he said. "It was inspirational for all of us to see him do that."